Special Containment Procedures: SCP-3128 is to be kept in a secured locker on-site. Access is limited to Level-4 personnel; following Incident 3128-073, testing is prohibited. MTF Iota-10 ("Damn Feds") is to work with law enforcement personnel to investigate the whereabouts of PoI-3128-1. If found, she is to be apprehended and taken into Foundation custody. Description: SCP-3128 is a near-complete Monopólio1 game-set originally produced in Portugal at some point in 1937. When played, it exerts an anomalous effect upon global real estate markets; events in reality will mirror events in the game. 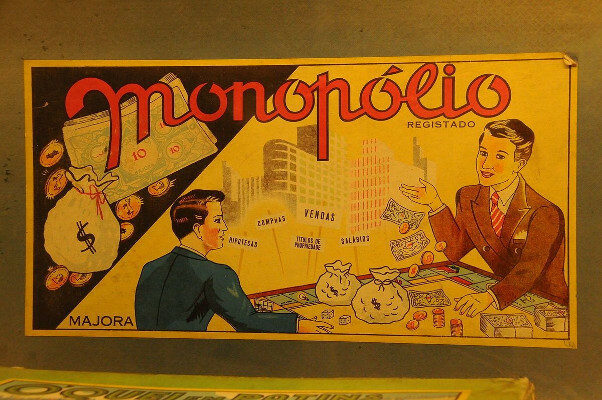 Following the subprime mortgage crisis of 2007, all further tests by researchers involving manipulation of real estate markets via game-play have been suspended. Following Incident 3128-073, all testing is suspended pending review. NOTES: The following is an excerpt from the audio taken during a test. GAMMA: There's no way I can win. You've already got, like, six complete monopolies, man. BETA: Take your 'Chance' card. GAMMA: Uh. One sec. Need to — uh, I need to try something. GAMMA: Hey, guys? I'm, uh. I'm using this. BETA: — the hell are you doing? GAMMA: Good luck, you two. NOTE: D-3128-3 has been designated as PoI-3128-1. Documentation of SCP-3128 updated to note several pieces are now missing; this includes its sole 'Get Out Of Jail Free' card. 1. Otherwise known as 'Monopoly' in the US and UK.